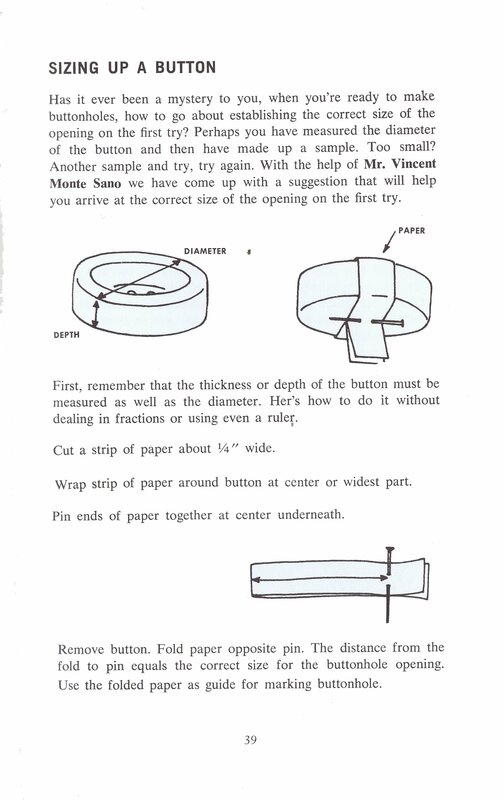 Tonight, there’s another glitch with E Bay’s listing form, so I decided to add more from the Spadea’s collection of sewing tips, here’s pages 30 to 39. 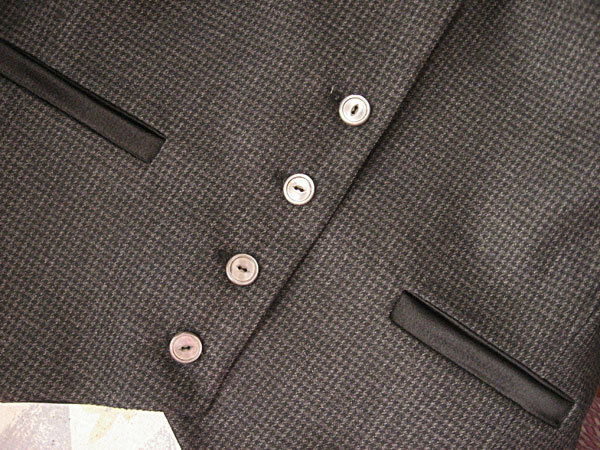 Hidden Buttoning – Many innovative styling techniques were innovations by Mr. Tiffeau’s, one of the most popular was the hidden button closure, giving a fluid unbroken look, which gives no hint of the button closure beneath. 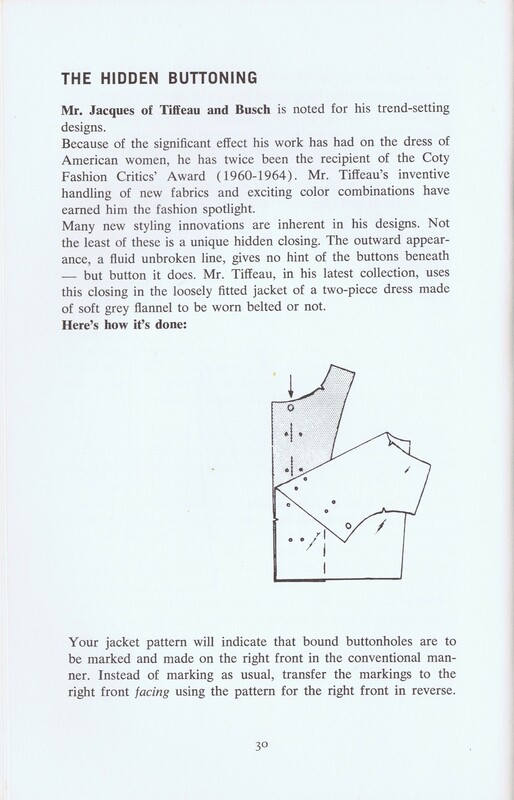 In his 1960’s collection, he used this closing in his loosely fitted jacket of a two piece dress made of flannel. 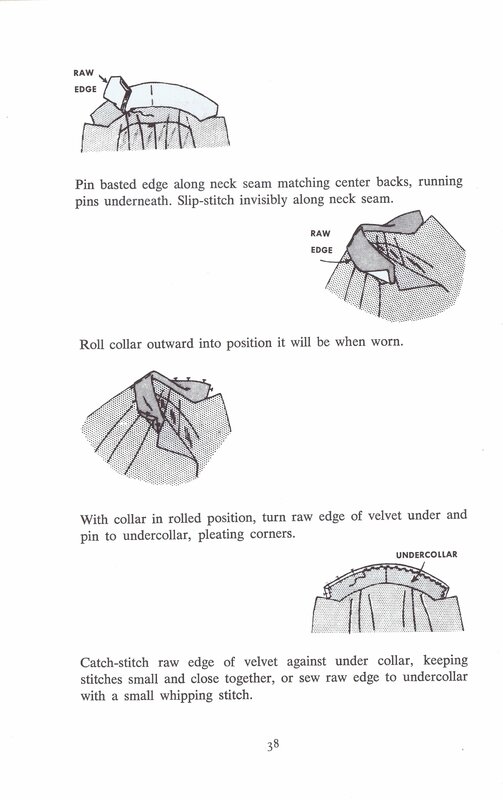 Spadea’s N-1288 Two Piece Dress from the Vintage Pattern Wiki is an example of the technique. 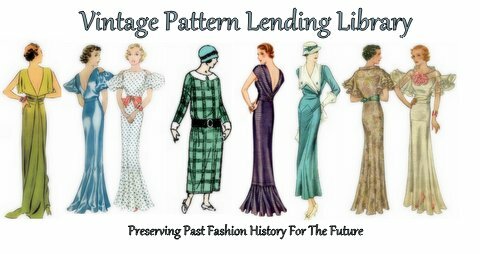 would you like to see more of Tiffeau’s designs, check out Reading Vintage Vogue, on my birthday in 2003, the New York time sprinted an article call “The Hustler” which I think gives a great summary of how Tiffeau influenced the fashion industry. 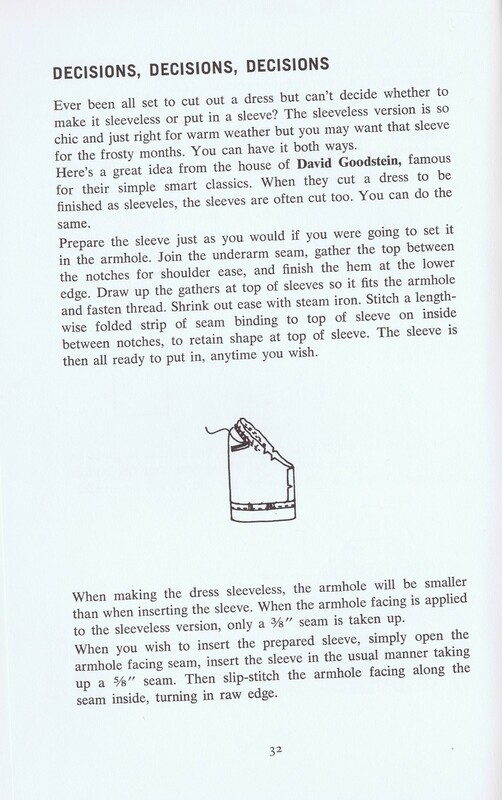 Detachable Sleeves not a new idea, but how to do it? 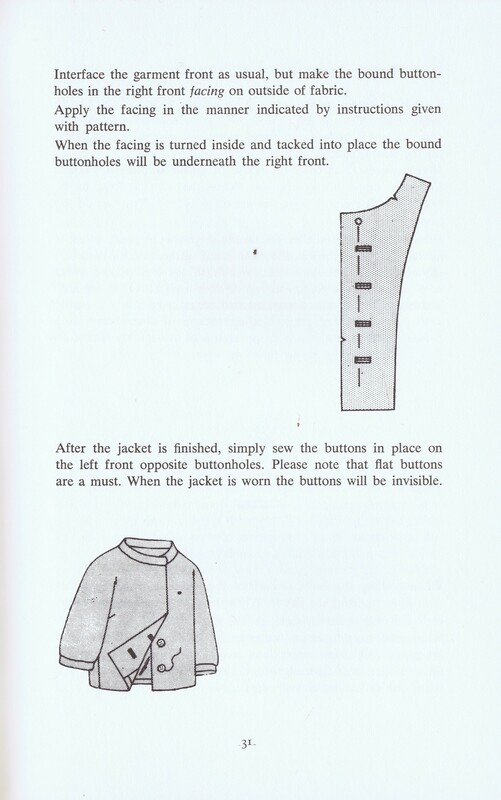 Well that might have escaped the knowledge base of the average seamstress including me. 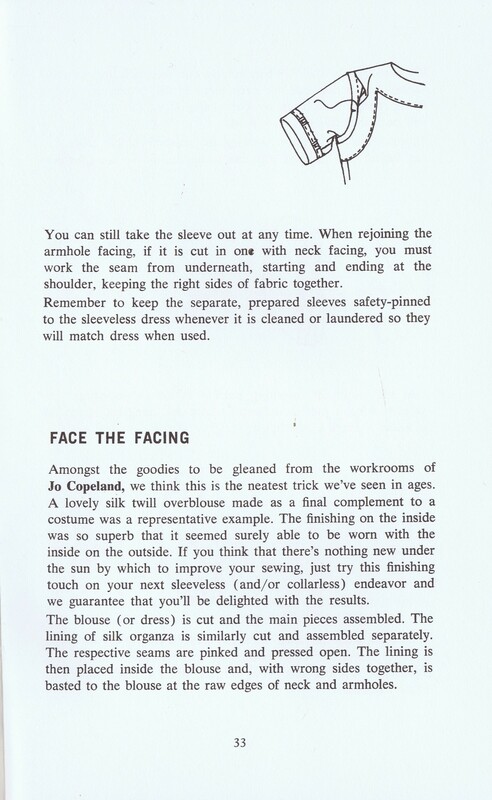 Facing the Facings – This tip isn’t just about facing it’s about flawless finishing techniques. 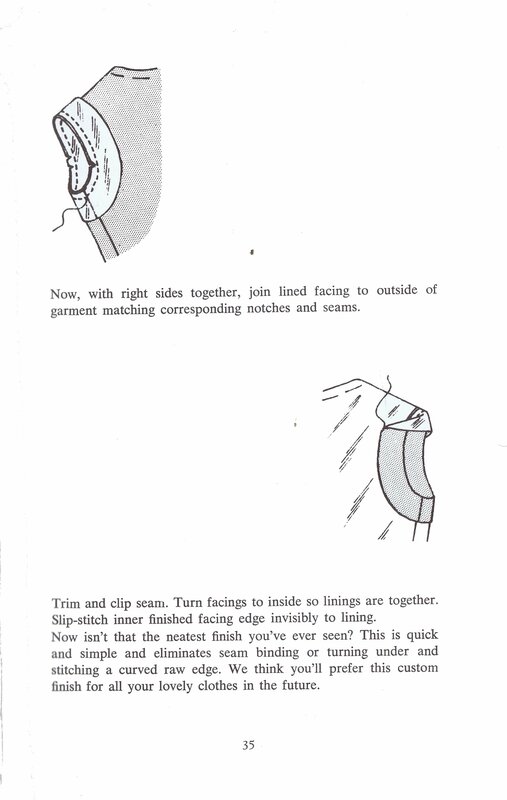 If you have the chance to use this technique or have used a similar finishing, please share a pictures with our growing community. 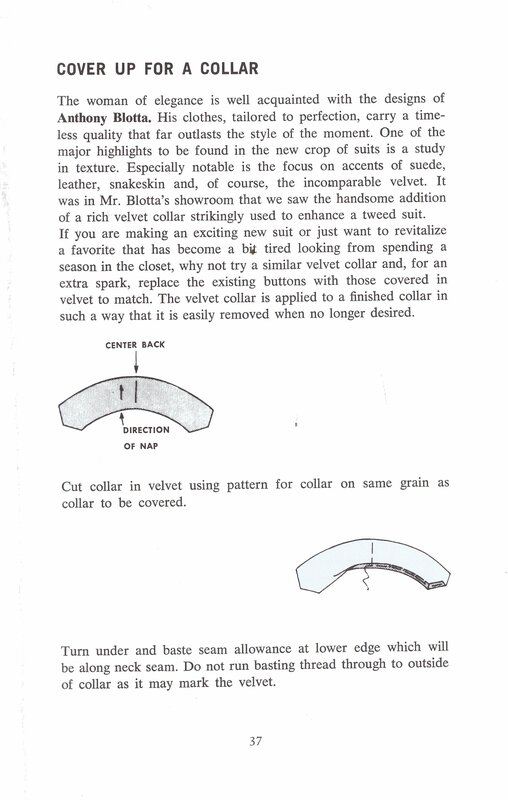 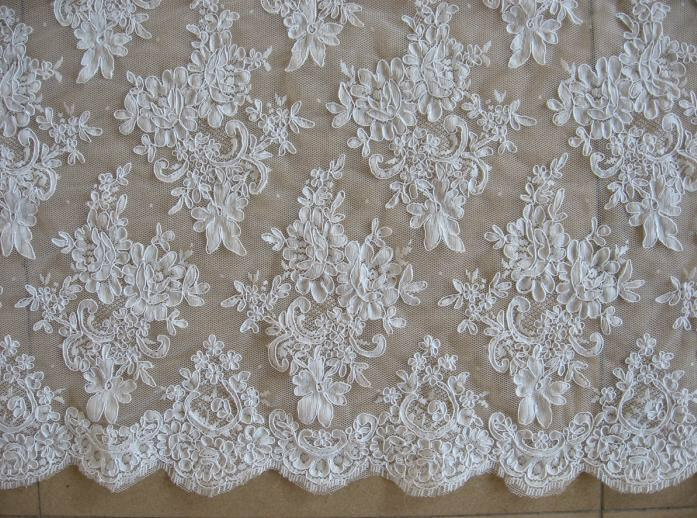 The Tailor’s Slip Stitch – a sign of couture is your skill at hand stitching and your finishes, this is a hem technique worth learning to do. 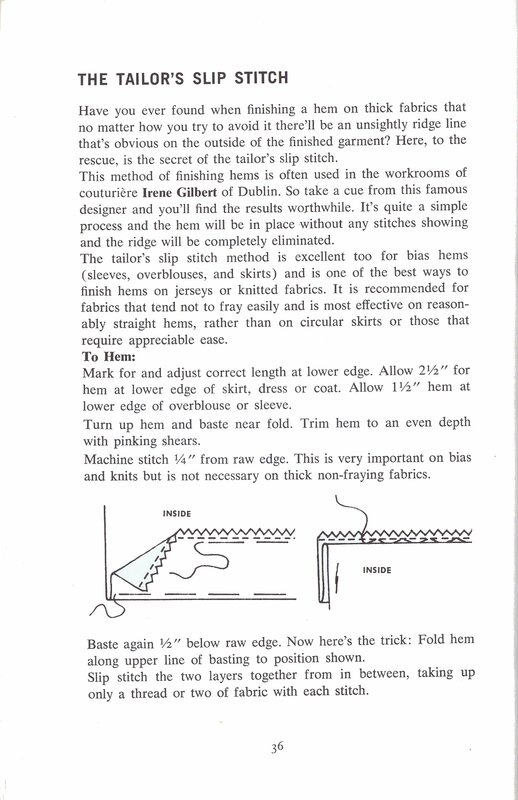 In the modern-day, most machines give similar hem stitch, but I think taking the time to practice and learn this technique is well worth the effort.